FabSysCrypto ransomware belongs to the HiddenTear family of infections. It is a common crypto virus that drops the malicious file fabsyscrypto.exe on the system and executes it to start the encryption of important target data. For the enciphering purposes, FabSysCrypto implements the strong AES algorithm. Upon encryption, it appends the malicious extension .locked to all corrupted files. Then it drops a TXT file / called _HELP_instructions.txt/ that is designed to guide the victim in getting the private decryption key that is expected to restore the files. This article aims to help all victims of FabSysCrypto ransomware by providing consistent removal guide. Even if you are not a victim of the threat, we advise you to meet the specifics of a ransomware infection in order to stay cyber safe in future and avoid getting malware. All these files get encrypted via AES encryption algorithm and receive the extension .locked. Each file with appended .locked extension cannot be opened with any program until it is decrypted. !!! Your personal Identification ID: – !!! It is notable that the creators of FabSysCrypto are trying to mimic the ransom note of the infamous Locky ransomware. 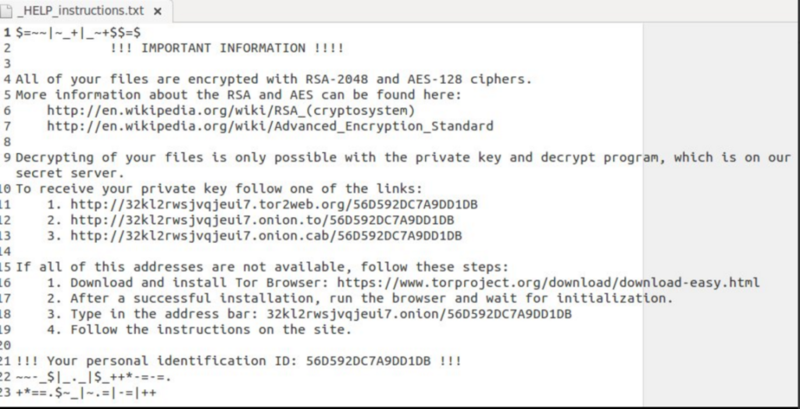 However, FabSysCrypto is based on the HiddenTear source code so the statement “All of your files are encrypted with RSA-2048 and AES-128 ciphers“ is not valid as HiddenTear is programmed to implement only AES encryption algorithm. Eventually, FabSysCrypto is less dangerous than Locky ransomware, and there is a chance that some third party tools might help you to recover some .locked files after the removal process. If FabSysCrypto creates value in Run folder, it will allow the ransomware to activate itself anytime the system is started. 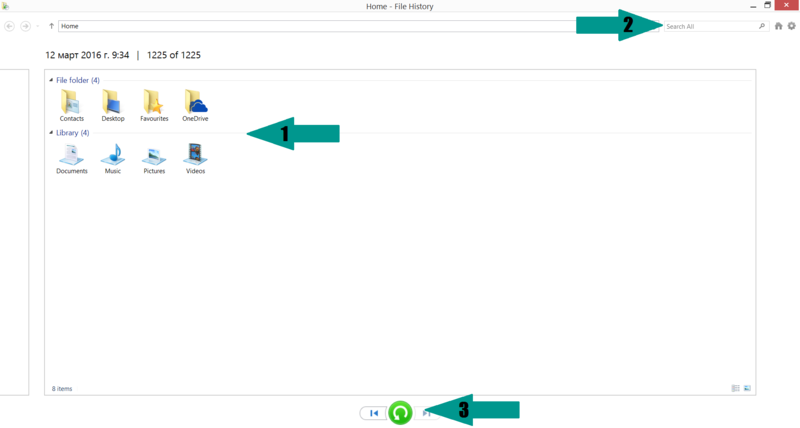 Changed values in the Desktop folder usually lead to the replacement of the current wallpaper with the ransom message file. As regards the ransom amount we have found information that the crooks demand 0.5 BTC for the decryption tool and key. We want to remind you that any negotiations with cyber criminals are inadvisable. How can the executable application fabsyscrypto.exe land on your computer? Spam email campaigns – the message is most likely to urge you to download and interact with a ZIP archive or document attachment that contains the ransomware payloads. It could be hard to recognize the malicious intention of such emails as cyber criminals are good at impersonating legal services that we use in our everyday life. So we recommend thinking twice before a click and better refraining from opening attachments that look suspicious. One way to understand whether a file is malicious or not is to check it with online scanning services like ZipeZip and VirusTotal. Malicious web links – such web links may be posted on e-mail messages with convincing notes to click them immediately or in spammed comments on sites that are not adequately secured against spam. Another method of spreading malicious URLs is on social media sites like Facebook and Twitter. The malware can be hidden in a fake notification, counterfeit shares from compromised accounts, spammed private messages, etc. Freeware software – be careful when you decide to download and install free applications choose wisely the sources and if you find the wanted app on the official website of the vendor better download it from there. Sometimes the malicious ransomware payloads may be bundled with the freeware package so threats like FabSysCrypto may land on the system unnoticed. You can skip all steps and remove FabSysCrypto ransomware with the help of an anti-malware tool. FabSysCrypto ransomware can be removed manually, though it can be very hard for most home users. See the detailed tutorial below. You can try the help of third party software to recover .locked data. Just accomplish the entire removal process of FabSysCrypto ransomware following the step-by-step guide below. It is important to notice that a backup of all encrypted data is highly advisable because it will prevent total data loss in case that something goes wrong during the recovery process. Contact us if you need further help with FabSysCrypto ransomware infection. Manual removal of FabSysCrypto requires being familiar with system files and registries. Removal of any important data can lead to permanent system damage. Prevent this troublesome effect – delete FabSysCrypto ransomware with SpyHunter malware removal tool. For a faster solution, you can run a scan with an advanced malware removal tool and delete FabSysCrypto Ransomware completely with a few mouse clicks.